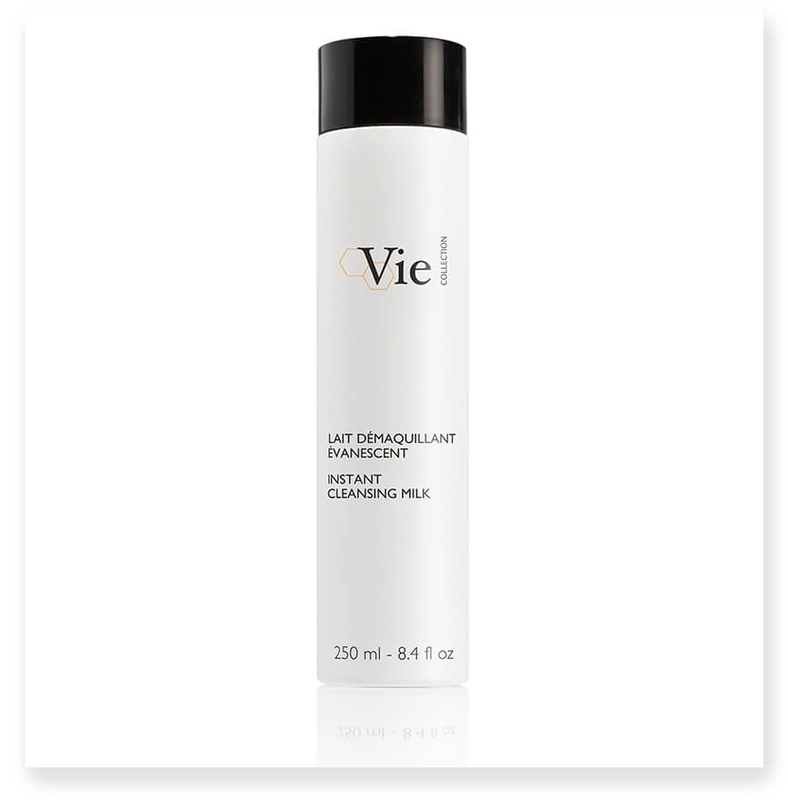 Vie Collection introduces Instant Cleansing Milk , a rich, creamy cleanser that gently cleanses the skin and removes pollutants and impurities to reveal clean, supple skin. This detoxifying cleanser is formulated with a fresh, feminine fragrance and leaves skin plumped, oxygenated and perfectly cleansed. Apply to the face and neck and emulsify with water. Gently work over the skin. Rinse with tepid water. Use morning and evening. Hyaluronic Acid (with low molecular weight) - increases skin firmness by stimulating the synthesis ofcollagen, limits dehydration by stimulating the synthesis of cell junction proteins and retains water inside the skin to maintain moisture. • Anti-Pollution Oligosaccharide - protects skin from the damaging effects of pollution (heavy metals, cigarette smoke, etc.) by creating a protective barrier between skin and environmental stress factors.